For many UK universities, A-Level results day is an important recruitment opportunity, and Hertfordshire University was looking for the perfect way to grab attention and create interest. Ideally, potential students and/or their parents would be taken on a tour of the campus, to experience the quality of the university’s facilities. The next-best solution would be to take them on a virtual tour using some existing VR content. At first, the university considered a headset experience but was put off by the practical considerations. 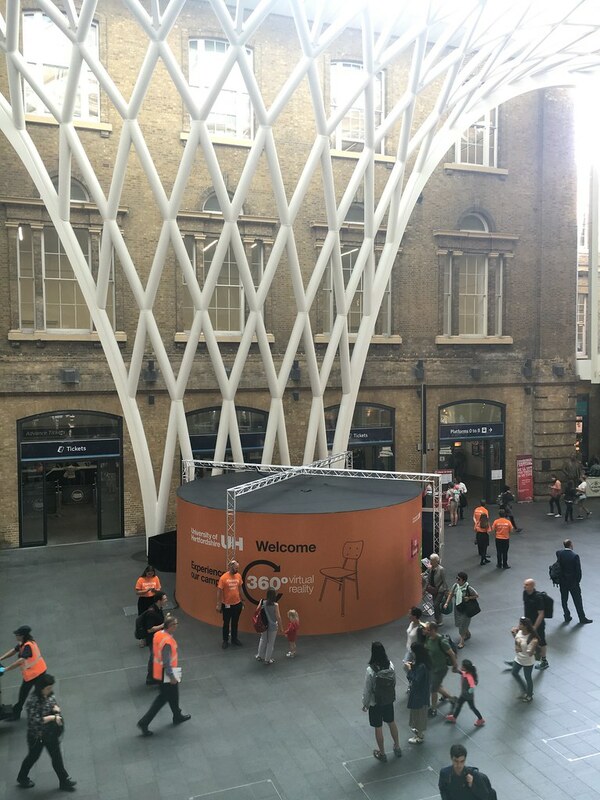 Its solution was to commission a 6-metre Igloo for a pop-up event on the concourse of King's Cross station - which would be seen by up to 100,000 people in a single day.